I didn’t think we needed to do anything to our bikes since they are not fancy racing bikes. I was afraid to take my Toys R Us special to the Serious Cyclist Store for maintenance because I thought they’d make fun of me for riding a kid’s bike (yes, That. Short.) or hard sell me into a fancy bike when I’m not ready to upgrade yet. Well, a flat tire I didn’t know how to change proved me wrong on all accounts at the Serious Cyclist Store. Like most bike shops, their philosophy is every one needs to start a sport somewhere and they were really nice. They didn't make fun of my kid's bike either. In fact, some of our bike shops hold workshops about basic DIY bike maintenance that they do for coin. I learned I should take better care of my current bike with some simple yearly bike maintenance that will make it easier to ride and last a little longer. I flip our bikes upside down when I need to turn the pedals and chain instead of buying a fancy bike stand that I will use maybe once a year and don’t have extra room to store. 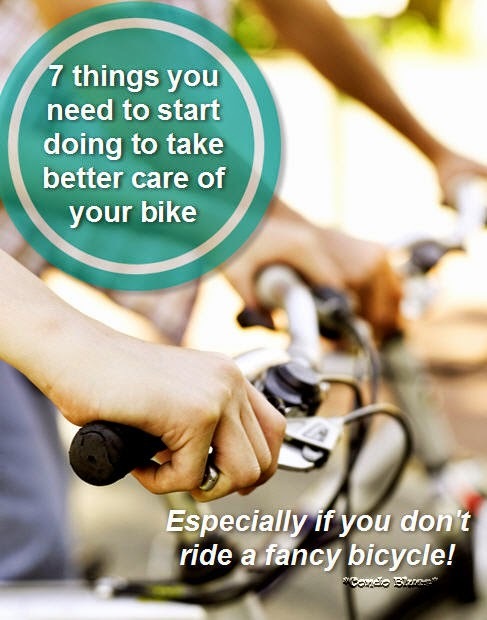 First, do a basic walk around to check the overall condition of your bike. Husband’s bike has rusted rear cogs and a rusted drive chain (fancy bike speak for the bike chain). Replacing the chain can be a DIY job. I’m leaving the rear cog replacement to the pros. Check if the break pads are worn or loose and replace or tighten as needed. Check for loose break cables. If you have a loose or broken brake cable it might be best to have a bike shop fix it because they are tricky to replace and fix. 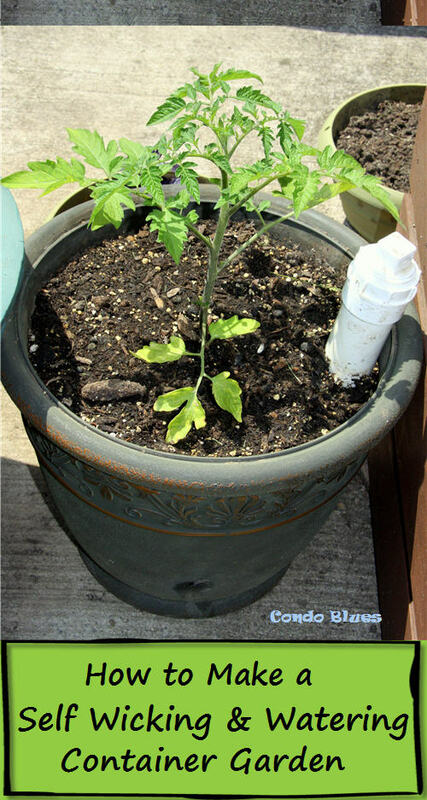 Check for any loose bolts and tighten if needed. Look for rusted or worn bike gears/chain and replace if needed. 5. Check the seat height and remark it if needed, especially if you have kids that like to grow taller from one year to the next. I cannot even begin to tell you how much easier my bike was to ride when I found the correct seat height! I marked the seat height on my bike with nail polish instead of tape because of the removable seat. 6. Pump tires to the correct tire pressure (PSI) according to the type of tires you have on your bike. It seems counterintuitive, but generally narrow bike tires need more air pressure than wide bike tires. If you don’t have the recommended pressure stamped on your bike tires, learn how to determine how much air your bike tires need here. You use a regular car tire pressure gage to check the air pressure in your bike tires. 7. Clean and oil the bike chain, especially your chain is regularly covered in dirt, mud, or in my case, sawdust. DO NOT lube or oil your bicycle chain with WD 40. WD 40 is wonderful for many things because it is a solvent that gets stuck things moving again. The solvent evaporates and leaves a light lubricant behind which is great for squeaky hinges but doesn't have enough strength to lubricate something that gets heavy use like a bicycle drive chain. Your best best bet is to buy a lubricant made for bicycles so you don’t have to guess and find out the hard why what doesn’t. Bike lubricant is pretty easy to find, don’t cost a ton of money, and a small bottle of lube was more than enough for both of our bikes and Husband’s chain was in sad shape. I bought a bottle of White Lightning Clean Ride bike lube for 8 bucks at Target. Clean Ride is supposed to the Cadillac of bike chain cleaners and lubricants because it dries into a wax that keeps your bike chain lubricated and repels dirt unlike messy oily bike lubricants. Or at least that’s what my Serious Cycling friends say. I’m not going to argue with someone who knocks out a 20 mile bike ride like it is nothing. 1. Use a small brush to remove any big chunks dried mud or sticks and bits from your bike chain. Any small brush will do, such as an old toothbrush. I usually skip this step because we ride our bikes on paved trails. The bike chains stay fairly clean. If you or yours constantly get chunks of nature stuck in your bike chain from off road cycling, you might consider buying a bicycle gear brush that snaps around your chain to make the job easier like the Cycling Bike Bicycle 3D Chain Cleaner Machine Brushes Scrubber Quick Clean Tool. 2. If there is a large amount of grease or yuck on your chain (like my sawdust) remove it by turning a bike pedal with one hand to move the drive chain while loosely holding a rag around the chain. I skipped this step on Husband’s bike. His drive chain wasn’t covered in a coat of sawdust like mine. It wasn’t overly greasy either. 3. 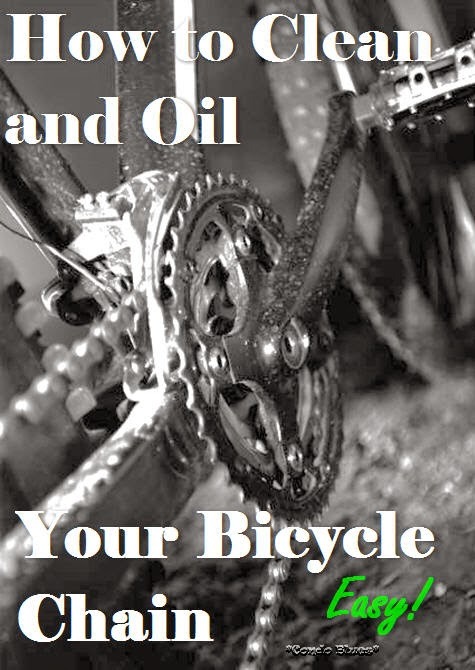 Oil the bike chain by adding lubricant to every area of the entire bike chain where the chain links meet. Don’t worry if you slop on too much lubricant. We’ll deal with the excess in a later step. 4. Allow the newly oiled bike chain to sit for a few minutes. This will allow the lube and make friends with the other parts of your bike and settle into the center of the chain links and their grooves. 5. Turn the pedals a few times to check if there are any areas you missed and allow gravity to encourage the lubricant to hang out in the inside center of your bike chain links. 6. Remove the excess oil from your bike chain using the same cleaning technique you used in Step 2. The idea is to not to remove all of the lubricant you put on your bike chain, just any messy extra oil. 7. Get out there and ride! What are your bike maintenance tips? How to Fix a Hole in Shorts without Sewing!